Personal rep of estate selling family home of 45 years. 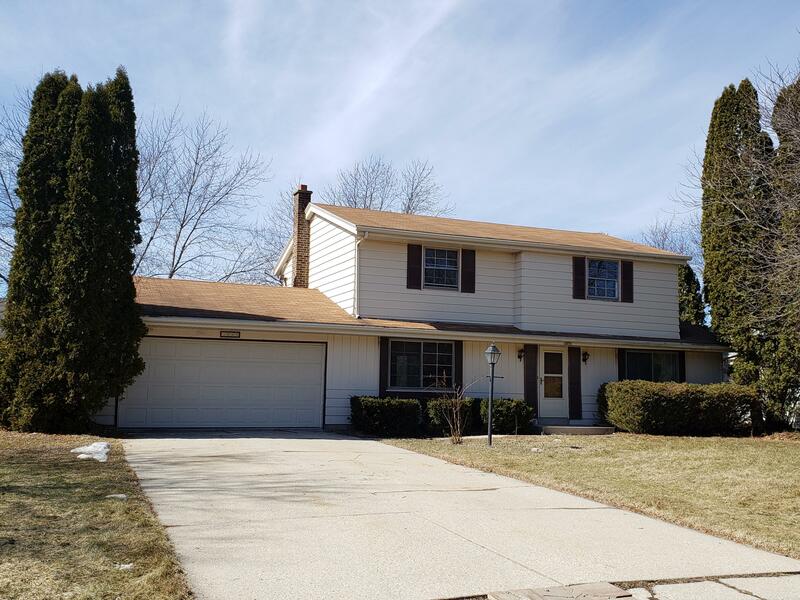 This 4 bedroom, 1.5 bath home is located in a convenient New Berlin neighborhood, two block from Glen Park Elementary and minutes from High School. It's been cleaned out and is priced to sell. This is the lowest colonial you will find in the New Berlin school district currently listed. (next lowest is $65k more). With updating and applying TLC this home would have a ton of equity. Potentially relist for $100k higher or more! All bedrooms are spacious and have hardwood floors. One bedroom features walk in closet. Upper full bath with double sink vanity. Hi efficient mechanics. Partially finished rec room. Sold as-is. Priced below 2018 assessed value of $244.500.